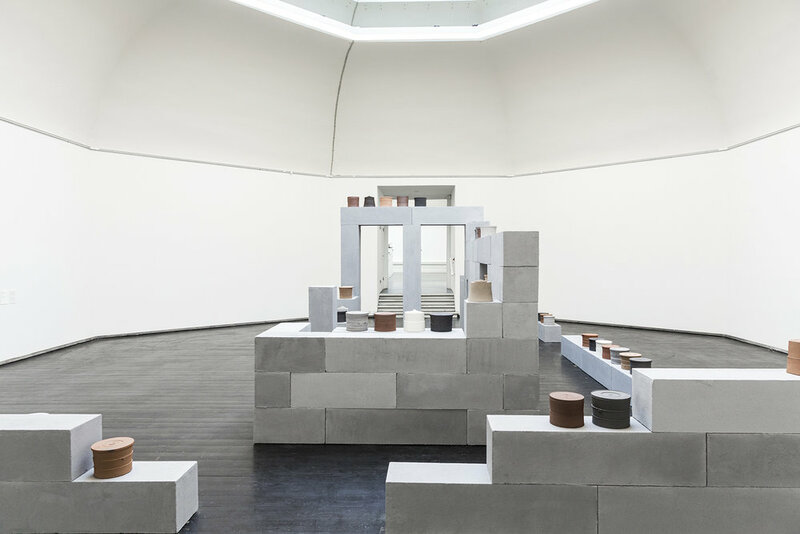 From the archive: This exhibition design project was carried out in collaboration with the potter Julian Stair and Ricardo Gomes of KWY as part of the exhibition titled “techne, n.: A convergence between art, craftsmanship and architecture” at the Den Frie museum in Copenhagen which was curated by Ben Allen and Ricardo Gomes in 2014. 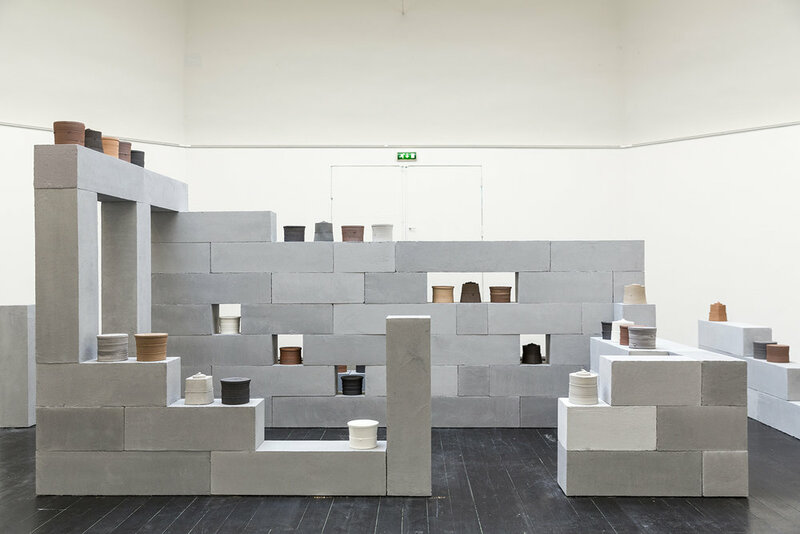 “The walls are built from plastered building blocks and articulated with Den Frie’s sculpture gallery space. The jars are displayed either in niches, on partially deconstructed walls or on ledges”. UNLESS OTHERWISE INDICATED, ALL MATERIALS COPYRIGHT © STUDIO BEN ALLEN, 2014-2017. UNLESS OTHERWISE INDICATED, ALL MATERIAL USE MUST BE CREDITED TO STUDIO BEN ALLEN AND ANY REPRODUCTION OR TRANSMISSION OF ALL OR PART OF ANY OF THE IMAGES FOR COMMERCIAL PURPOSES OR OTHERWISE WITHOUT PRIOR WRITTEN PERMISSION IS PROHIBITED.